Chevy Runs Deep. Find New Roads. Silverado, Like A Rock. We have heard them all, year after year because they speak the truth. Chevrolet is a brand that a lot of American’s can relate to because we all have some kind of memory that relates to an Impala or Silverado. Chevrolet Silverado hasn’t been one of the best selling trucks for the 100 years by accident. These trucks prove themselves on a daily basis to be the longest lasting and most dependable trucks on the road. 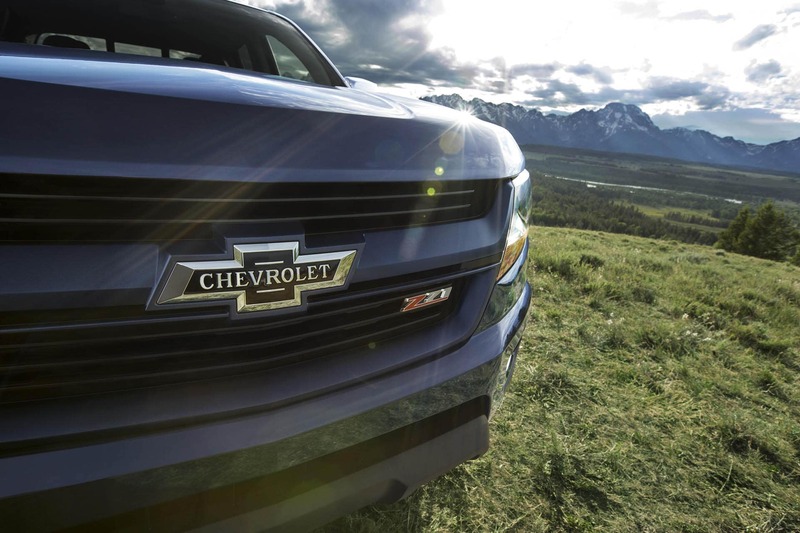 Whether you are hauling, towing, working, or playing Chevrolet trucks will not disappoint. Just take a look back at the last 100 years. I think most everyone has some kind of connection to a Chevy Truck and for me it is a 1993 Chevrolet Silverado 1500 Z71. I was just five years old and it was the most beautiful thing I had ever laid eyes on. The first thing that attracted me to this beauty was the deep maroon paint job that seemed to dance in the sun. When I heard that engine start up and the rumble of the 5.7L V8 a smile shot across my face from ear to ear. I’m pretty sure the sound of an American V8 is the best medicine for virtually everything. I was lucky enough to sit on my Dad’s lap as we drove around my neighborhood, and to be able to always have that memory is something special. As beautiful as that truck was it was no slouch when it was time to work. The toughest task that truck was put through was snow plowing. The biggest Nor’Easters that came our way were no match for the snow-pushing beast.. Even three feet of snow couldn’t slow it down. I now understand why Chevrolet claims that Silverados are the longest lasting trucks on the road because that truck ran well over 200,000 and 20 years of the toughest tasks we could throw at it. Chevrolet trucks have some of the most legendary and unique body designs in the world. Automotive enthusiasts have been customizing the long-lived truck for decades and always seem to inspire a new twist. Chevrolet has had success with multiple models over the years including the Silverado, C-10, K-10, and S-10. Other models that people may not be as familiar with include the Corvair Pickup, El Camino, and the Chevy Luv..
Chevrolet trucks have seen many improvements over the 100 year span to include luxuries such as a touchscreen interface and parking aids, but has never lost its ability to work and impress. One of the biggest reasons these trucks experience so much success today are their fuel efficient engines. 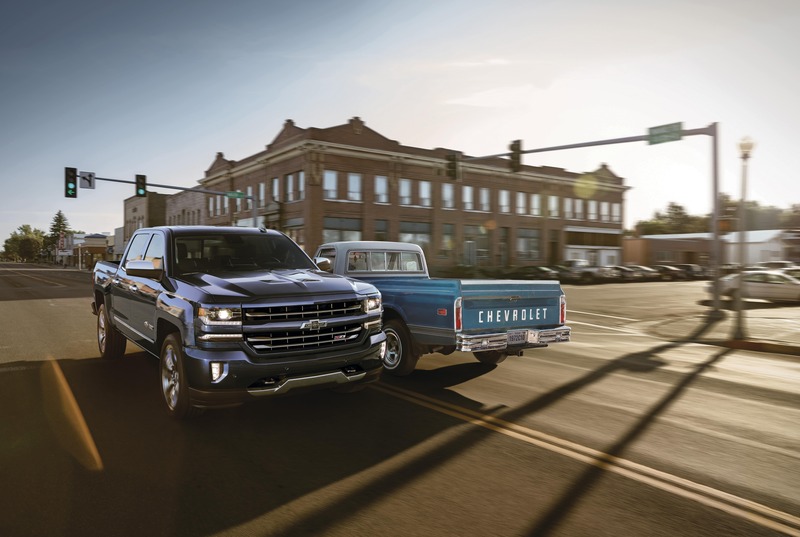 The various engines that are offered in the lineup of Chevrolet trucks have been engineered on relatively on the same platform so not much has changed, but improved. For example, the 2017 Chevrolet Silverado 1500. equipped with the 5.3L V8 produces an impressive 355 horsepower, yet still has the ability to get up to 23 mpg highway. So if you’re looking for a truck that can perform and keep money in your wallet, the Chevrolet Silverado may be the one you need. 100 years of Chevrolet trucks is a mighty feat and should be celebrated properly. 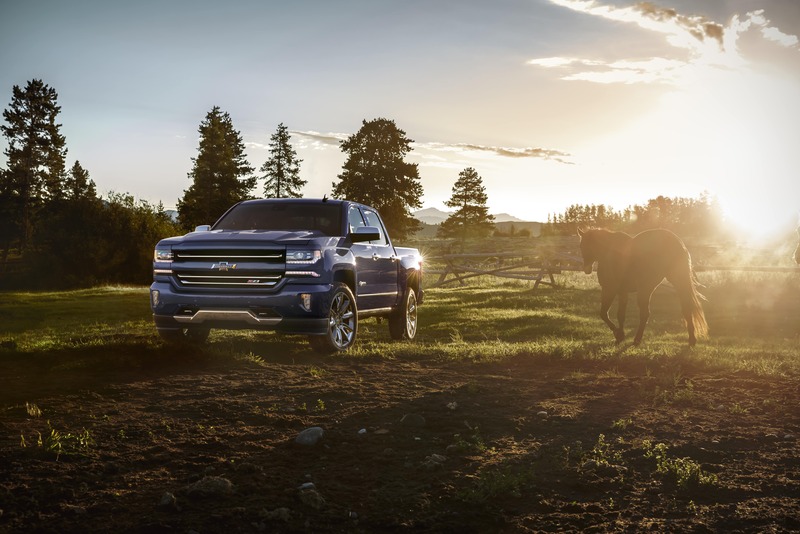 Chevrolet is indeed celebrating with its release of its Centennial Edition Silverado 1500 and Colorado. The special edition trucks include features like heritage bowtie emblems, Centennial door badges, premium rims, chrome tow hooks, door handles, and mirrors finished off with a unique Centennial blue paint job. 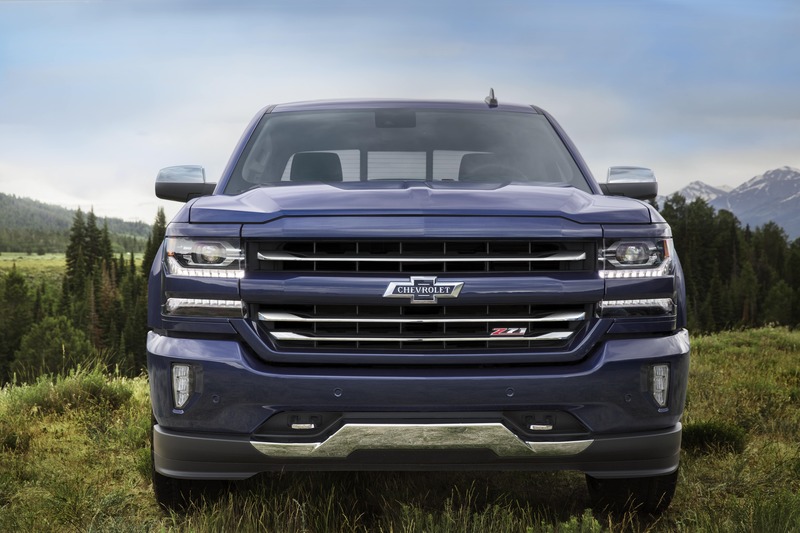 If you love Chevrolet trucks as much as we do, you might want to consider one. Come down to Quirk Chevrolet. and check one out!